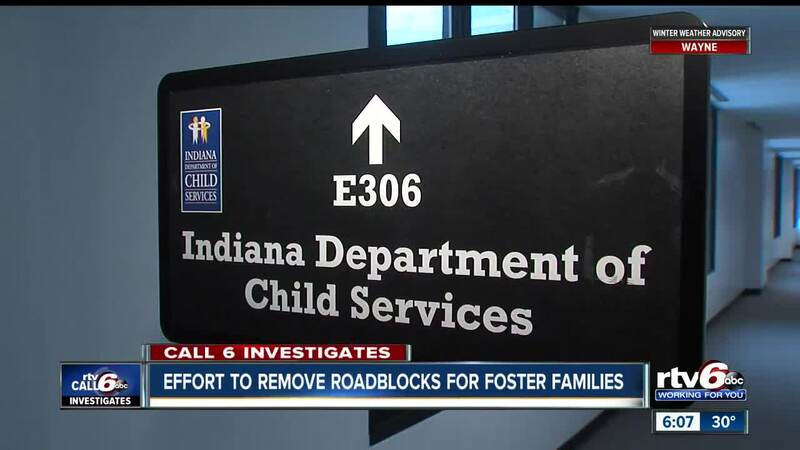 INDIANAPOLIS — Foster parents in Indiana say they’re fed up with roadblock after roadblock when it comes to adopting children in the child welfare system. State lawmakers say they hear those concerns, and they’ve filed legislation to help streamline the process. Kristi Cundiff, a former foster parent and advocate, said the Indiana Department of Child Services has been stiffing families who want to adopt children in need. Cundiff is also the administrator for the Indiana Foster and Adoptive Parents Resource and Advocacy Group, which has pushed for state lawmakers to improve the state’s child welfare system. She said when parents try to negotiate payments with the state, it’s a nightmare. “Foster parents have been asked for receipts on how much they spend in church, hair cut receipts, food, imagine saving every food receipt when you go out and they're even asked to divide that up, how much do you spend eating out and how much do you spend at the grocery store,” Cundiff said. “That's pettiness." Sen. David Niezgodski, D-South Bend, filed Senate Bill 398 that would add a mandatory adoption subsidy to Indiana foster parents. Currently, foster parents would lose their helpful state per diem if they were to adopt their foster child, Niezgodski said. With his bill, DCS would be directed to provide an adoption subsidy for children who are eligible. “They're not doing it for the money but in some cases they can't afford it because of the ongoing needs of the children and that should not be an obstacle for those parents who are wanting to love those children," Niezgodski said. Foster parents have complained that if a child has been out of the home for 15 to 22 months, federal policy states DCS should file for termination of parental rights. Sen. Erin Houchin, R-Salem, has filed Senate Bill 1 that would streamline the TPR process, or termination of parental rights. It would allow a foster family to file for TPR if DCS has not acted in time. "At one point, we had 5,000 kids waiting for TPR,” Houchin said. “There were so many kids languishing in the system some much longer than 15 months, up to 2 years or more. It's not a good situation for the state of Indiana fiscally and certainly it is for kids languishing in the process. " Houchin said the court may order DCS to file for termination of parental rights. “We hope this will speed up the process,” Houchin said. Foster families and advocates hope both pieces of legislation will help move children out of foster care and into permanent, loving homes. Both bills are awaiting hearings. Cundiff said foster and adoptive families, as well as national experts are expected to testify in support of the bills. “It’s going to take a lot of the anxiety away from foster parents because foster parents do this because they love the child,” Cundiff said.